I have recently been asked to contribute to the Technologies for Learning Strategy for the Scottish Government. The aims for this are to "embed the transformational potential of technologies for learning in a proactive, integrated and sustainable manner for the benefit of Scotland's learners and Scotland's economic growth". Led by the inspirational Ollie Bray and Sanjin Kaharevic, this ambitious project really intends to consider how best to support learning now and in the future - what a fab and totally important piece of work. 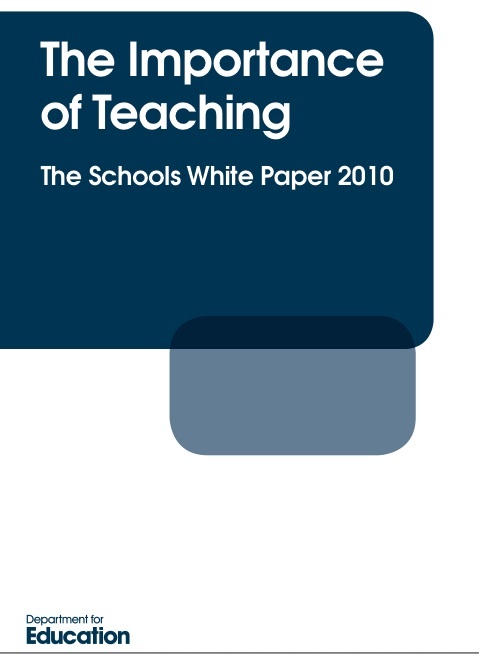 Compare this to Michael Gove's new White Paper ('The Importance of Teaching") launched earlier this week. It is a total embarrassment that the words Technology, ICT even computers to support learning are not mentioned once.... We are all in the Third Millenium, I just wonder what century they think we are living in....? I'll be kind, perhaps they forgot........ but actually I wonder if they have even heard of it! Lets ask and then support with creativity - the right way! This Academy has absolutely the right strategy to approaching an effective design process to ensure maximum ownership and use. The approach is simple: Lets ask the students, staff and parents. Lets explore how they learn best, their ideal teaching group size and strategy, what technologies they prefer to use at home, (students AND staff), what the leading professional software is, what images /colours work best, what furniture encourages learning, then analyse the responses. Surround the process with leading creative professionals from the very first planning session to ensure the process delivers what the school community wants. 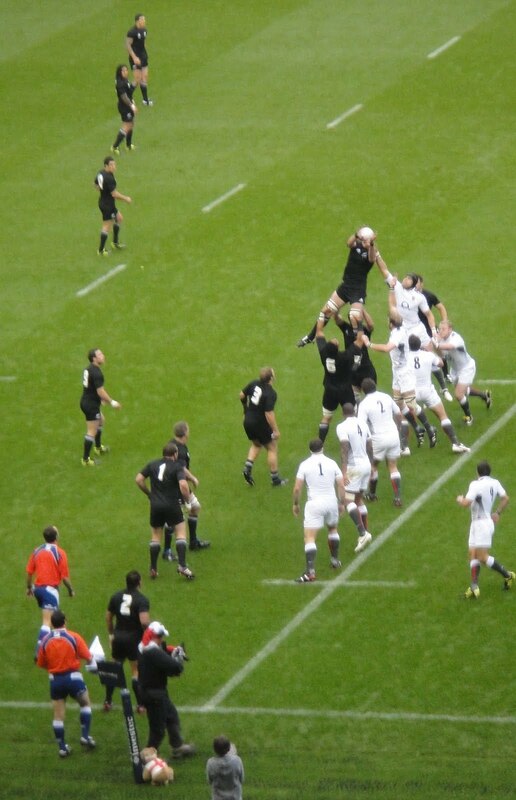 Then, all working together, and starting with small pilot areas, lets deliver these spaces, reviewing and analysing all the time and being agile in responding to the findings. Yes they could do it alone, but the danger is they may just produce more of what they have already got and use it (or not!) as they always have done. This creative support (covering digital technologies, artists, animation, learning space designers, CPD) will further challenge, join up ideas, zoning strategies, the use of colour, FF&E solutions, new technologies and provide a collaborative set of thinking to create what is wanted and what works.... As everyone will be working with students and staff at every stage, all sorts of other education will be taking place as well. This Academy fully intends to be at the cutting edge of using professional standard interactive technologies to support effective learning wherever it can, including in these learning areas. Unlike so many schools, where the interactive feature tends to be one plasma screen planted in the dining room, the vision for how these spaces may be able to be used is just fascinating, exciting and challenging. Just how it should be really. This project is one to really watch - it will work - the confidence, enthusiasm and determination of everyone will see to that. People WANT to be involved. 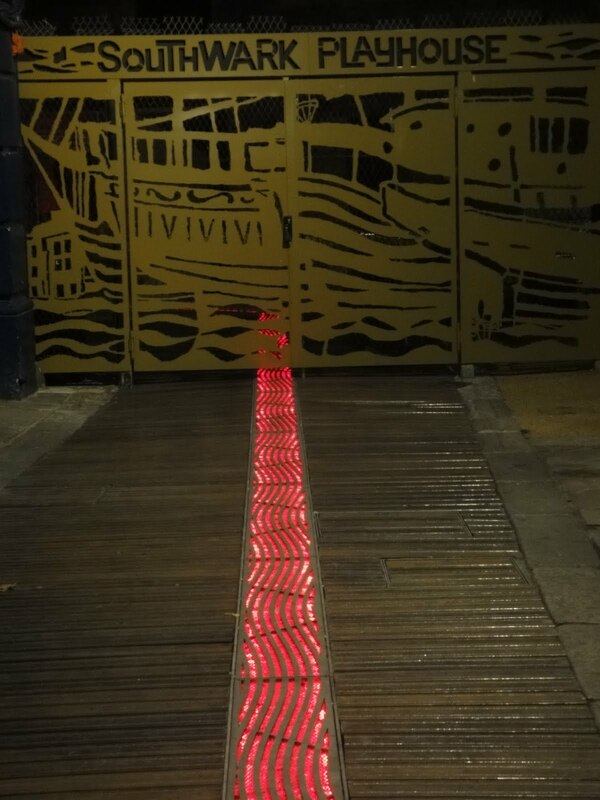 I think it is the best joined up approach to ambitious collaborative planning I have seen. I am delighted to have been asked to be involved, - it IS going to be just fab! I have been talking quite a lot about schools' green travel plans recently as part of the planning processes for new schools. Lots of people creating similar ideas to comply with authority requirements. These ideas include some really crazy discrepancies. Schools who do not allow students to cycle for safety reasons due to the fact that they are surrounded by very major roads, being forced to install tens or hundreds of bicycle racks that will never be used. This is clearly mad. The concept is very worthy but generic rules cannot cover individual school situations. But what about other solutions? I am not sure how many schools are considering other healthy forms of transport. I was intrigued to be sent a link recently to the firm 'Skateboard Lockers' who supply secure skateboard containers to schools and other venues. Whilst this company is from America, home of the skateboard, several schools I know in the UK ban them. I am not really quite sure why this is, they are a healthy form of transport. For two schools at least, the issue is what to do with them during the day - a simple storage issue. Even in schools in the States I have seen them littering up school reception areas. THis does not seem a very convincing argument for not allowing them though. 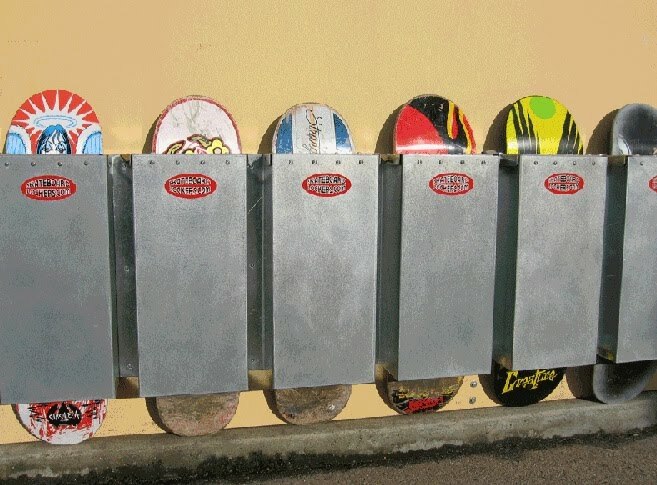 Are there many schools in the UK that allow or encourage skateboards? - I don't know and I don't suppose many, if any, schools in the UK will be interested in providing these but..
at least someone is trying to resolve the storage issue! I was delighted to be invited to be part of an education reference panel this week, lead by Professor Stephen Heppell and sponsored by ICT company Northgate Information Systems. A small of people from a wide range of backgrounds, many the top of their field, discussing for a whole day where we thought the future of education was going. I was humbled to be included with them. There was a great deal of very positive thinking with clear suggestions as to how things will change, but as always the interchange and professional discussions were just fab, well considered, exciting and challenging. The whole day was fab, but stealing the show was the iconic venue - in a room high up in the North Tower of Tower Bridge, London. Even better, we also had the opportunity to go to the very top and onto a narrow balcony not usually accessible to the public - stunning views all round London. I am sure that this conversation will continue - it deserves to - there is so much to say, share and learn. Hopefully more will be posted by me soon. 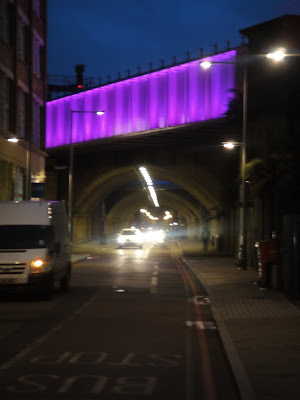 Walking from the match to the station - passing lots of houses trying to 'cash in' by selling BBQ's, do-nuts, etc - we all passed some of the youngest entrepreneurs I have see recently. Selling sweets, these youngsters certainly put loads of energy into their pitch. They had a captive market - literally tens of thousands of folk walking right past them towards the station. Whilst it was kind of cute, they certainly deserved to do well, just because of the energy and commitment they displayed. It's not rocket science really - identify the market, find a gap in it - and try to capitalise on it. So much of education should really be about helping youngsters help them selves - entrepreneurship is just really important! I am convinced that as we progress through the Third Millenium, the younger people start helping themselves regarding developing learning skills, talents and interests, the better. 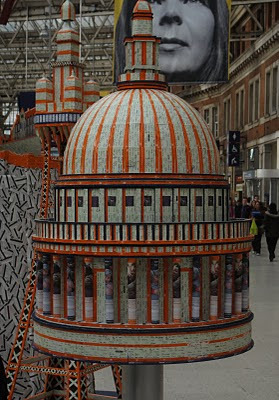 Walking through Waterloo Station last week, most people's attention was drawn by some very large sculptures made entirely of rail tickets.. (most people - because, as we all know, some people don't see anything!). Particularly interested were a group of young people, who were taking photos (as were many people. The gist of their conversation was that would love to do 'stuff' like this, but they didn't stand a chance in school. I can, unfortunately, understand why - I am currently involved in a major exercise cost cutting exercise on a number of new schools as a response to the latest budget saving exercise by PfS. (Partnership for Schools). Part of this cost cutting is that, inevitably, rooms are getting shaved for space. Big practical rooms are becoming smaller rooms, some new build is becoming refurbishment of existing inadequate spaces. 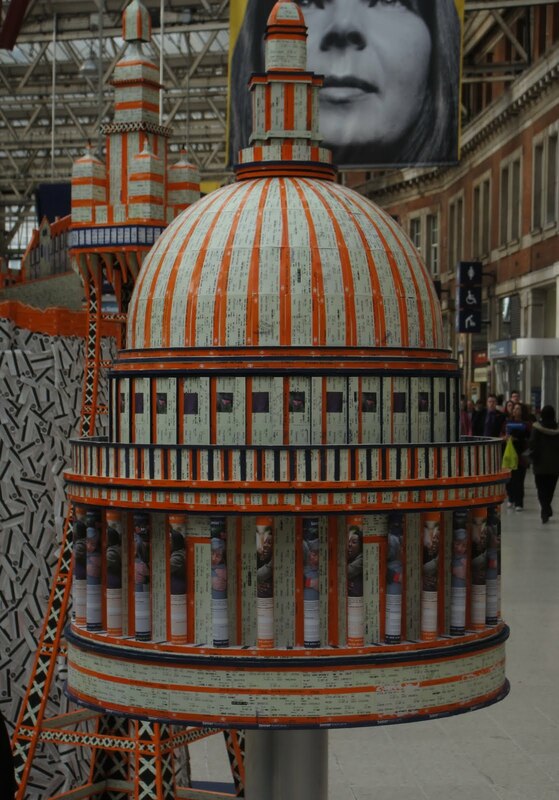 Mind you, if schools CAN be agile, if students CAN work elsewhere, home, professional studios, colleges, then some of this very imaginative large scale work can continue. But students and schools really may have to think out side of the box...again! It's a bit like education policy in the UK really .. start to do some really good things, some good ideas, focused and relevant initiatives, lots of students and staff being moved out of substandard accommodation into new learning environments and then .... a new Government comes along, the cry "All Change" goes up, lots of good work is undone and a raft of new policies comes along - and they keep coming, every week (or is it every day?) something new....... just like the buses really. It just makes be wonder that as this constant stream continues - how long before we again hear the cry "All Change"
I'm absolutely sure I was not learning about electrical circuits at 5, but my daughter certainly is..... 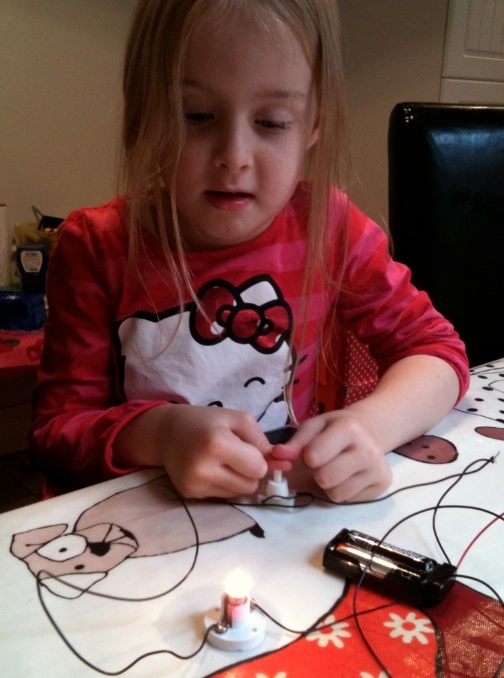 I spent part of the half term taking her to a shop so she could ask for "bulbs, bulb holders, crocodile clip wires, battery holders and a switch" so she could make "a circle" (read circuit) - she knew more than I ever expected. 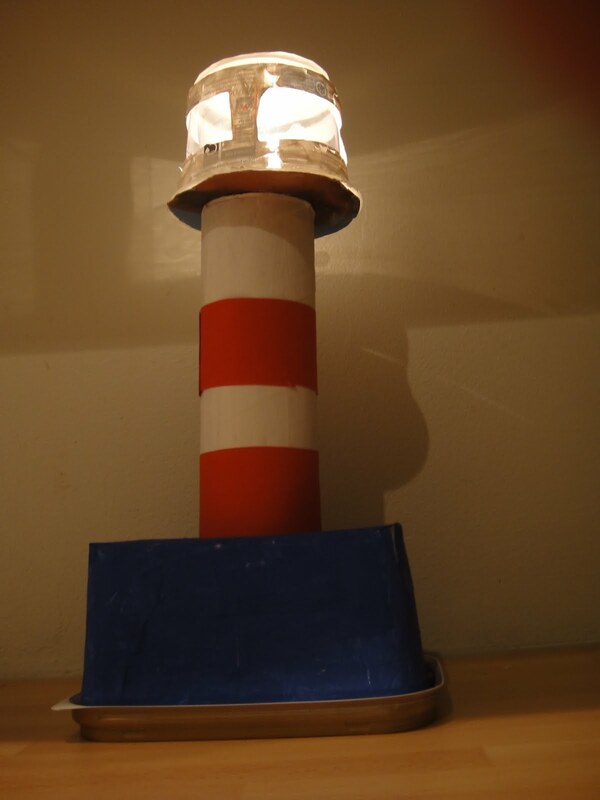 The half term holiday project was a project about light - she decided that she wanted to do a lighthouse for her own reasons... and one that lit up. She knew precisely what she wanted to do and only a little help to start to cut the holes in various plastic pots etcI was frankly staggered about what they were doing and how much detail they had covered. As has happened before I was also surprised how much time she spent doing this project over several days - she was really motivated by it. Early thoughts of posters vanished fast (actually I hate posters as homework or coursework - it can be such a cop out for some can encourage low expectations) there is no doubt that it would not have been enough. What's more when questioned about components all sorts of understanding emerged... it's true when people say - we just don't know how good our young people can be - not just my daughter - but everyone. We just have to find ways to engage them in their own learning and interests! 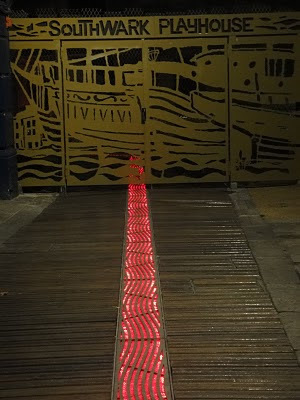 As the mornings get darker, it is really interesting to see how people are using light in a variety of interesting ways in public spaces. 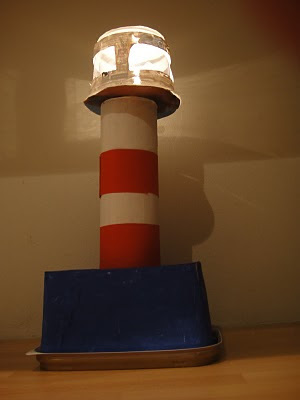 Students in design sessions are frequently interested in using light and colour to ensure that their spaces and building have some character, rather than be just the standard 'white' box. What makes the debate more fun is that whilst many want to use colour to create a unique identity, others are much more focused on sustainability and express considerable concern about keeping lights on when they are not totally necessary. Having said that, many also still consider the use of colour as important to give identity to their school buildings, but want to ensure the ideas implemented are with a real energy strategy in mind. This interest can only be good really - especially if they are consistent with this strategy at home! Location : London Bridge station... / Time: Morning rush hour... Sight: two men in bright purple one piece full body suits. BUT - did anyone notice? Not many people when I was there. Staggering really. I always wonder as I travel around - just how many people ignore everyone and remain self absorbed... they don't see or notice anyone - no matter what they are doing or what is happening... It's odd really. It happens in work and school situations as well. A common complaint from students in very big schools is that no one knows them and they get 'lost' - or no one sees them... There is no doubt that smaller student groupings are very powerful - where every knows everyone.... and there is real interest and knowledge about their achievements - they feel like someone. I was involved in splitting a school into four smaller new schools on one campus a few years ago - relationships were better, communication was good, attendance went up, behaviour improved, expectations improved and crucially - student performance rose sharply. 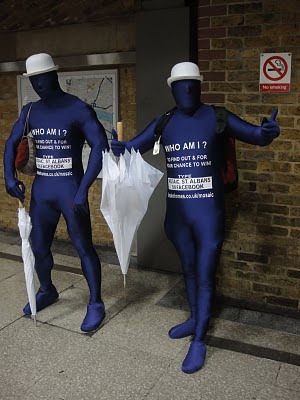 Everyone was recognised - no one was anonymous. This is definitely the way forward. We must stop creating large anonymous factory schools..
We are all too busy today - and we don't see half of what is happening - even if you are dressed in purple!